I am reviewing the Reno Tahoe Odyssey, which I ran over the weekend. It was a great event and an awesome experience. I was on a 12 man relay team that ran 178 miles from Reno, around Tahoe, through Carson City, out to Virginia City, then back to downtown Reno. We had an awesome team and we did better than we expected ourselves to. The camaraderie was incredible, there were costumes, decorated vans, and runners and teams everywhere for 24 hours, all having a great time. The event was very tolling on our bodies, everyone ran between 15 and 17 miles each, by the time the third leg came we had only slept about 2 hours and were exhausted. Although it was a difficult event, I totally enjoyed every minute and would do it again in a heartbeat. I want to encourage everyone to do something similar, something that they haven’t done. I really want to encourage you to do something like this that you’ve never done before. These events keep life exciting and you usually do things and have experiences that you wouldn’t otherwise. This entry was posted in Uncategorized and tagged Exercise, Lake Tahoe, Lake Tahoe Relay, relay, Relay Race, Reno, Reno Tahoe Odyssey, RTO, Tahoe on June 2, 2013 by joshvega. Do you remember what you did for Earth Day last week? Earth Day was exactly 7 days ago. Is what you did still helping this planet? I was convicted this weekend and week about following through for our planet. Last week for Earth Day the Sugar Pine Foundation came to Patagonia and we planted 250 Jeffrey Pine seedlings on the hill next to Patagonia. It was great! We worked hard, had a great time, and felt like we were doing something great for the environment in our neighborhood. Here is a link to the blog post I wrote on the event. On Friday of last week I walked out on the hill to check on the baby seedlings. The trees were starting to brown on their tips and the soil was bone dry. They didn’t have any water! They went from growing up in Tahoe, being watered everyday and living in healthy soil to this dry desert soil with no water for over a week! That’s the kind of change that sends trees into shock. I went and grabbed two buckets and watered all the trees I had planted and some others I found that others had planted. I realized that if I don’t go up on the hill and water the trees as often as possible they will not make it in this harsh environment. I find it quite ironic that Reno has been experiencing the weirdest spring, with random snow and rain mixed with temperatures in the high 70’s, but ever since we planted the baby seedlings we haven’t received a drop of precipitation. So that’s where I was convicted. I had done my part on Earth Day, and it felt great. Planting trees and cleaning up the river, doing great things. BUT, in order for my efforts on Earth Day to actually transform into a beautiful pine tree I’m going to have to think about the trees I planted every week and follow through by watering them throughout the year, for many years to come. Did you do something similar to me? Are you following through on it? 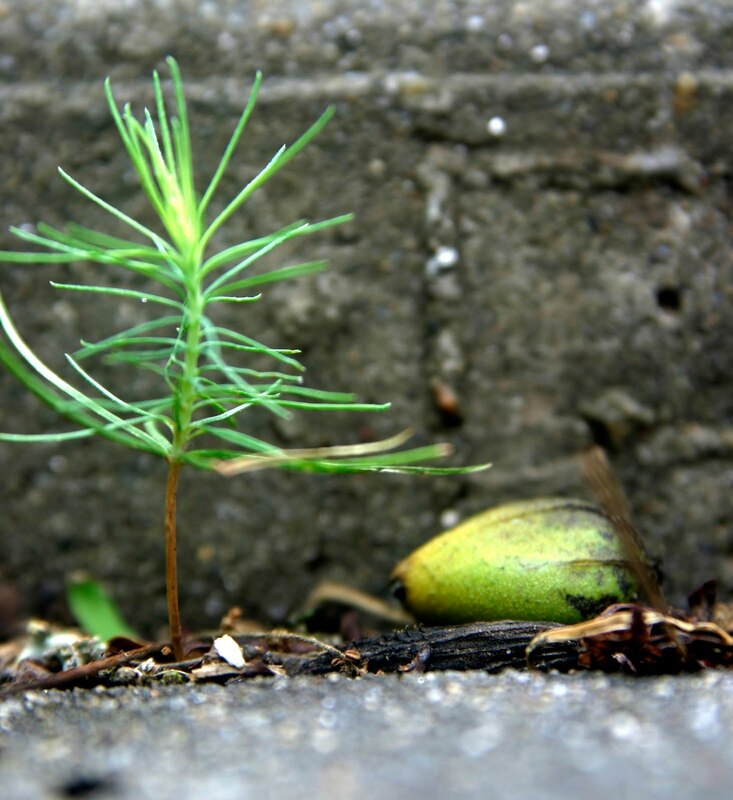 I challenge you to make a goal for the year that shows your consciousness to our environment. Follow through each week for a full year, and let’s see what blossoms from it! Post your ideas here! This entry was posted in Uncategorized and tagged conscious, earth day, Environment, jeffrey pine, nevada, Patagonia, Reno, seedlings, Sugar Pine Foundation, think about mother nature, trees on April 29, 2013 by joshvega. 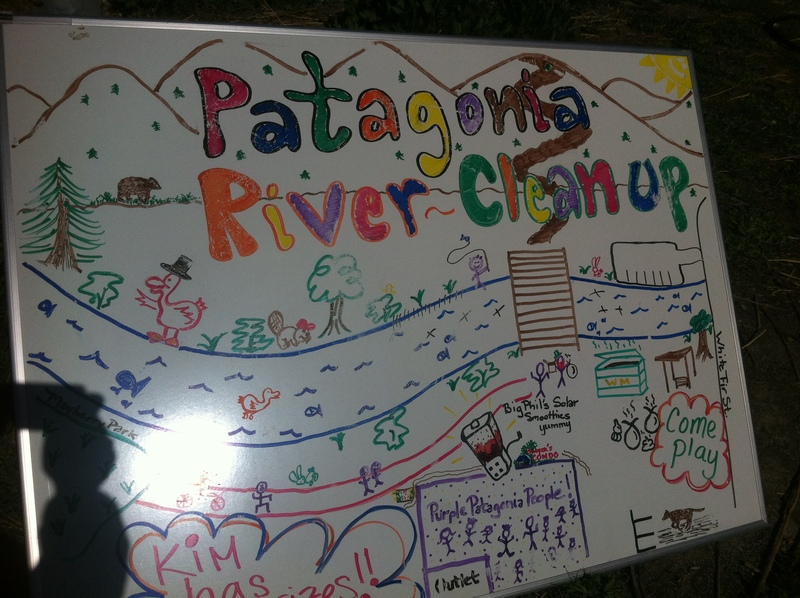 On Tuesday our work did a river clean up in honor of Earth Day. Patagonia employees worked from 9 until 2 filling trash bags and trying to keep the river area around our work and surrounding area clean. My department took hour long shifts and I was assigned to work from 9-10. Just looking at the river, it doesn’t look bad. I have defnitely seen dirtier rivers around the country. However, when taking a closer look, there were plently of things to be gathered, recycled and cleaned. I walked from Patagonia along the river bank towards Mayberry park. I was keeping my eyes peeled for little items that the people before me had missed. I found headphones, bottle caps, fishing lures and other small things. The item that most people overlooked that was causing some damage was fishing line. I’m guessing when fishermen get caught on something if they aren’t able to pull their line in they cut the line loose. Whatever the line was stuck to then stays there, and eventually will get free. I found yards and yards of line stuck in bushes along the bank. When the water level goes down, whatever was stuck in the bushes is then suspended in the air. The fishing line acts as a tiedown that groups the debris to the bushes. This line is not good for the animals that live in and around the river. It was very intricate work, but I got as much line out of the bushes as I could. There were tons of random things found, from a dead raccoon to a huge piece of metal that had sunk to the bottom of the river (pictured below). All in all, it was a great river clean up! The area looked cleaner, and people were excited to get out there and help clean up the area that we call home for 8 hours a day. Does your work do anything like this? If not, what would you like to see your work to? Share here! 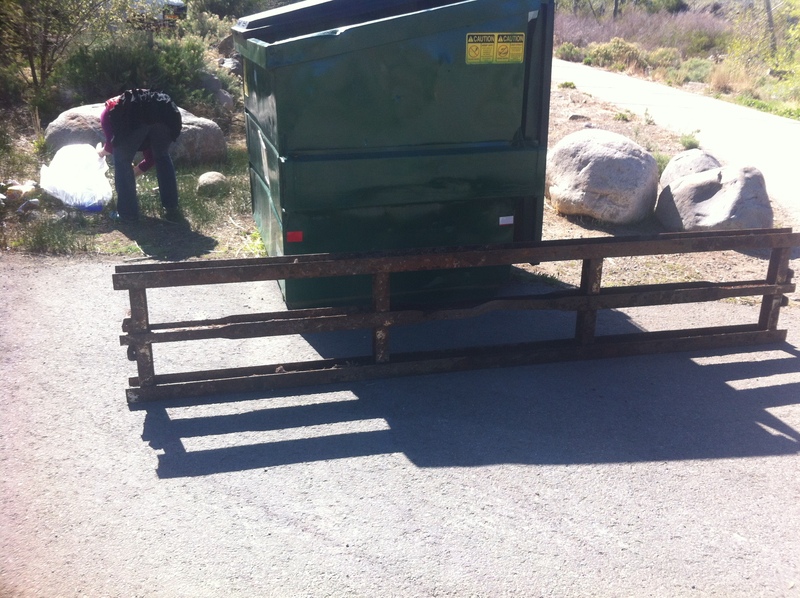 This entry was posted in Uncategorized and tagged clean up, earth day, Environment, Outside, Patagonia, Reno, river, Truckee River, water on April 24, 2013 by joshvega. As many of you know today is the day before Earth Day. Reno has an awesome annual event to celebrate. It has been happening now for 22 years and is located at Idlewild Park. The festival aims to bring people together in order to teach them about Earth Day and the values of diversity, ecological responsibility, and reinforcing sustainable cooperative habits. There are over a hundred exhibitors, ranging from local non-profits to businesses from the western states. Companies strive for these goals: to educate the public on clean and green technologies, human impacts on the environment and the ideas and concepts for sustainable living habits. They also try to provide a radically inclusive forum for local businesses, innovators, artists and organizations to share and express their Earth friendly messages, ideas, and wares. It is a fun, educational gathering for the community to participate in and learn healthy habits. I promise that if you go there you will become more aware of the diverse perspectives on the plant and our place with in it. There is plenty of parking and it’s a perfect day in Reno to get outside. Bring your friends, family and neighbors, I promise you will enjoy it! This event is so good for our area. The weather is warm, people are looking to get outside, and it’s a great forum for people to learn so much about the earth and sustainability. It is much appreciated for the businesses and groups to get out there, and take their personal time teaching others. The reason they do it is because they love it. Go take a trip to Idlewild park and come back here and tell me what you thought. If you have been before, tell me why you like it! 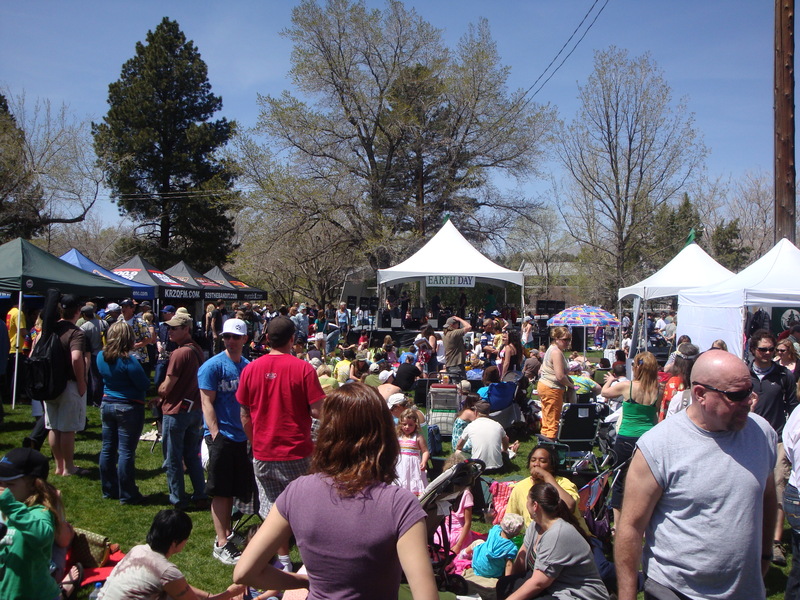 This entry was posted in Uncategorized and tagged conservation, earth day, education, Environment, get outside, idlewild, idlewild park, mother earth, Nature, Reno, sustainability on April 21, 2013 by joshvega. 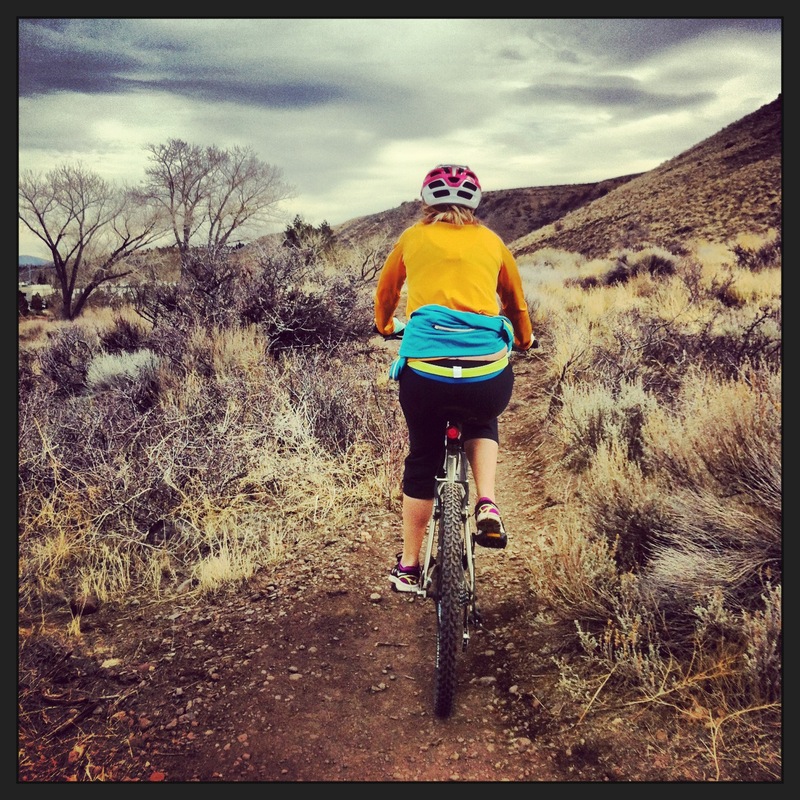 Mountain biking is an activity that is perfect for the Reno/Tahoe area. It is an awesome way to get away from the city streets and explore the dirt trails that are everywhere in Northern Nevada. There are great rides just north of Reno, south, and in between here and Tahoe. I’m very thankful that growing up my dad always had a mountain bike for me. He taught my brother, my sister, and me how to ride and one of my favorite things to do today is to go on rides with him. Riding with a group of friends is tons of fun, and memories will for sure be made. It is also nice to go out on your own and either clear your mind or go as fast or slow as you want. Today I’m going to share with you some basics of mountain biking, some tips, and some great rides in the area. The number one basic of mountain biking is safety. Just because dirt is softer than pavement doesn’t mean you don’t need to be safe. I have experienced worse injuries mountain biking than I ever have road biking. Your helmet is your best friend, and needs to fit right. Some people don’t like them, but I would recommend gloves for anyone starting out. Your hands do get sore, and if you were to crash gloves provide key protection between you and little rocks that like to get lodged in hands. Next, make sure that your bike fits you properly. You want to be able to stand over the top tube and have both feet flat on the ground without the bar up in your business. If you were to have to jump off the bike or put your feet down immediately you want to make sure that you have enough clearance there. It’s also important to have your seat at the correct height. You want to maximize your effort on the bike. If your seat is too high or too low while pedaling you won’t be getting the most out of your efforts. A good height is one where your legs are almost straight when making a full rotation while pedaling. It’s a good idea to understand how the bike shifts before your first ride. I can tell you from experience when I first started riding that if you don’t understand how to shift properly you will wear yourself out fast. Check out this video on how to shift correctly. One great thing about Nevada being mostly desert is that there are so many trails everywhere to explore! There are also tons of rides up in Tahoe, especially around parts of the Tahoe Rim Trail. If you want to stay in Reno, Keystone Canyon and Galena are great places to ride. In Keystone Canyon, there are big loops to do, lots of different options, and a downhill course made by the UNR Cycling Club. It offers easy to difficult terrain and is a great option if you work in Reno and wish to go out for a couple hours after work. Galena is in south Reno, scattered in the forest below Mt. Rose. There are lots of downhill trails and the area is less crowded than Keystone Canyon would be on a weekday. Tahoe is my favorite place to mountain bike. 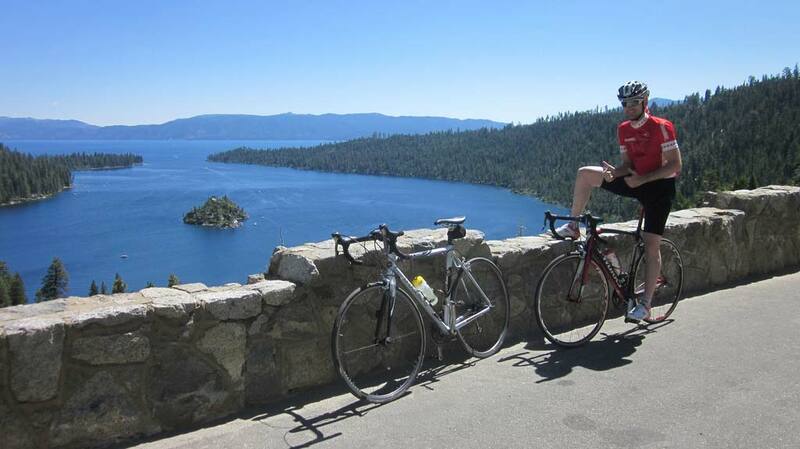 The Tahoe Rim Trail offers designated days for bikers to ride the trail and has the best views. There is also a ride called “The Bench” which starts at the top of Kingsbury in South Lake Tahoe and goes north towards Spooner Summit above Carson. This ride is difficult and I would recommend it for intermediate to advanced riding levels. Check out Stephen’s blog about another great ride in the area, Corral Loop Trail. Now that you’ve got the basics, some tips and some rides in your head, the weather is shaping up for mountain biking, get out there and go do it! If I missed one of your favorite rides, please share here!